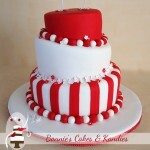 What’s red and white and delicious all over? 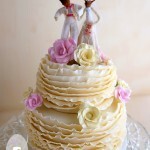 Tasha and Blake’s four tier wedding cake, of course! The happy couple were married in Gympie earlier this year, and celebrated their reception with family and friends at Gunabul Homestead. 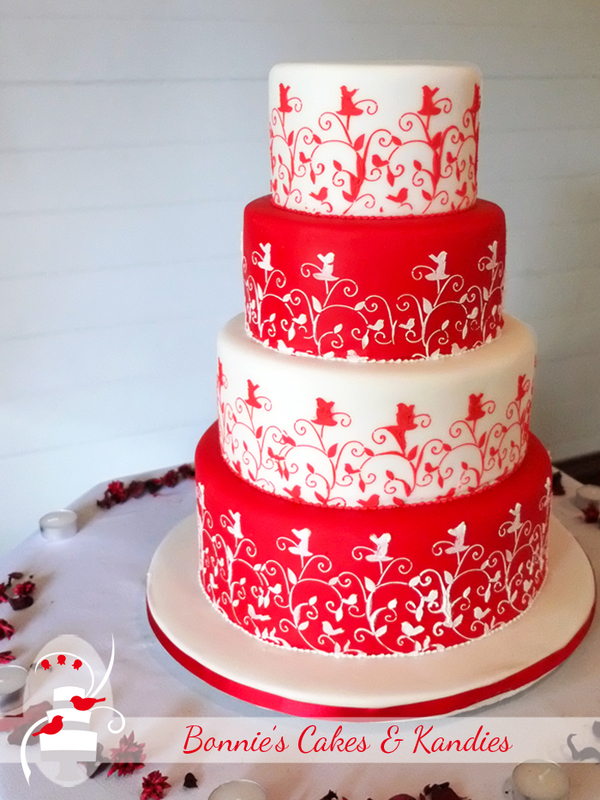 Each tier of the cake was covered with traditional fondant, and the alternating red and white covering and decorations made for a lovely contrast. Underneath the fondant another contrast would be found, with the white tiers made in red velvet cake, and the red tiers made in vanilla buttercake! 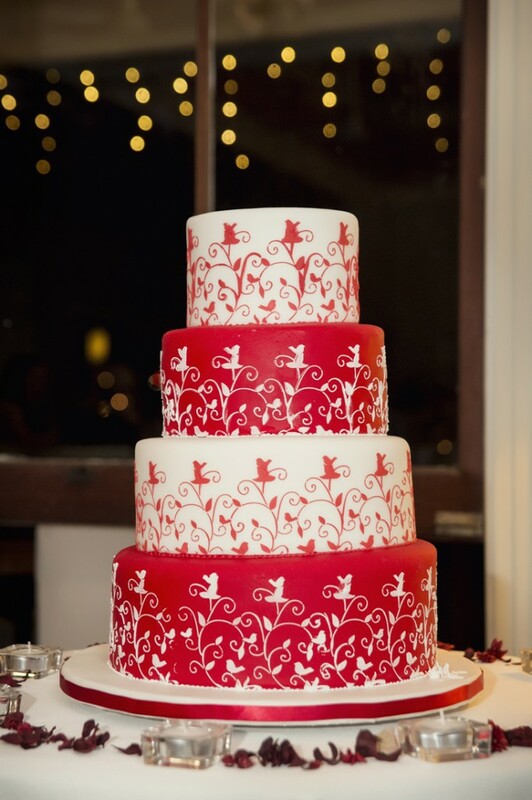 Thank you to talented local photographer Bambi from Photography by Bambi for the permission to share her beautiful image of Tasha & Blake’s cake below! 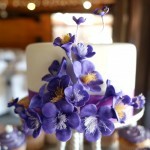 It is always such a treat to see the professional photographs of my cakes. Not only do the pros have way more talent than I do with the camera (of course! 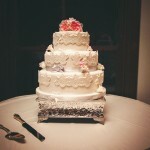 ), but they are almost always capturing the cake at a different time of day. The sun has gone down; the mood changes as the reception begins, and sometimes, as in this photo, beautiful little twinkling lights make an appearance in the background. My most sincere and grateful thanks to Bambi, and also to you, Tasha & Blake. 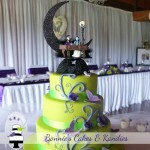 Tasha and Blake – may you have a wonderful journey through life together, and thank you for choosing Bonnie’s Cakes & Kandies.